When you begin repaying your federal student loans, you will need to select a repayment option. In the past, the federal government offered only one option: a standard repayment plan where you paid a fixed amount each month for 10 years. Now, the federal government offers an assortment of flexible repayment options to help borrowers meet their increasingly large student loan obligations. Private lenders may or may not offer the same options; contact your specific lender for more information. Tip: Choosing the right repayment plan can help you avoid defaulting on your student loans, a matter the government now takes very seriously and pursues aggressively. A standard repayment plans is the original repayment plan. Under a standard repayment plan, you pay a fixed amount each month for up to 10 years. Your actual payment amount will depend on your loan balance. You can use an online loan repayment calculator to easily determine the monthly amount you'll owe under a standard repayment plan. Under a graduated plan, payments start out low in the early years of the loan but then increase in the later years of the loan. This plan is tailored to people with relatively low current incomes (e.g., young graduates just beginning their careers) who expect their incomes to increase in the future. Under a graduated plan, your initial payments may be as low as half what they would be under a standard plan. With some graduated repayment plans, the initial lower payment includes both principal and interest, while under other plans, the initial lower payment includes interest only. Caution: With any graduated repayment plan, you'll pay more for your loan over time than you would under a standard plan. The reason is that interest charges are based on your unpaid balance each month, so the higher balance in the early years of your loan translates into higher interest charges. Also, if you extend your repayment option to keep your payments from becoming too high at the end of the loan, you'll wind up paying more interest over the life of the loan. Example: Assume you owe $10,000 at 8% interest. Under a standard plan, you would pay approximately $14,559, including interest. Under a graduated plan, if you choose a four-year, interest-only plan, your payments would be approximately $67 per month for four years and $175 per month for the remaining six years, for a total of approximately $15,816. Under an extended repayment plan, you extend the time you have to repay the loan, usually from 12 to 30 years, depending on the loan amount. Your fixed monthly payment is lower than it would be under the standard plan, but you'll pay more interest (often quite a bit more) because the repayment period is longer. Example: Assume you owe $10,000 at 8%. You extend your payments from 10 to 15 years and reduce your monthly payment to approximately $96 per month. The result is that your total cost for the loan will be approximately $17,203, compared with the $14,559 you would pay under a standard plan. Tip: Many lenders allow you to combine an extended plan with a graduated plan. Though this will lower your payments even further, it will increase your overall costs for the loan. For more information about any of these programs, including income guidelines, visit the Department of Education's student aid website at studentaid.ed.gov. Loan consolidation is a bit different than the repayment plans described above. Here, you combine several student loans into one loan. This means you write one check each month. You need to apply for loan consolidation, and different lenders have different rules about what loans will qualify for consolidation. For example, the federal government will generally consolidate loans that are in default, while non-government lenders generally will not. With a federal consolidation loan, the interest rate is fixed and based on the weighted average of the interest rates on the loans being consolidated, rounded up to the nearest one-eighth of 1%. Caution: If you have student loans that may be eligible for discharge in bankruptcy, loan consolidation will prevent you from discharging these loans because consolidating your loans is the equivalent of getting a brand new loan. In contrast to having too little money, some lucky individuals may have plenty of money to apply to their student loans. If you stumble upon an unanticipated sum of cash, you may want to consider accelerated payment where you pay more than the monthly minimum on your loans. The excess payment can be applied to your principal balance. The result is total lower interest payments and a reduction in the overall cost of your loan. Tip: There are usually no penalties associated with paying off your student loans early. If you have more than one student loan, you'll want to pay off those with the highest interest rates first. How do you know what repayment options are available to you? To learn what repayment options are available to you, contact your lender or the current holder of your student loans. For most people, identifying their lender is an easy task. Yet for others, especially those who have several loans or who have fallen behind in their payments with no communication to their lender, this task may prove more difficult. You might be surprised to learn that the original lending institution may not be the same one that now holds your student loans, because loans are frequently sold from one institution to another. 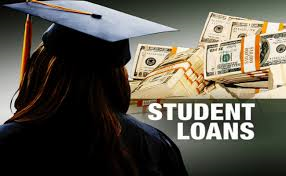 A further complication is that several different types of student loans exist. For example, you may have a federal student loan, a state student loan, a private loan, or a college loan. For more information on student loans, or if you are unsure who holds your federal student loans, contact the Department of Education's Debt Collection Services for Student Loans at (800) 621-3115. You can also contact the Federal Student Aid Information Center at (800) 433-3243 (1-800-4-FED-AID), which has access to the National Student Loan Data System. For private student loans, contact your lender. For state student loans, contact the appropriate state agency. For college loans, contact your school. • Lenders: This includes the federal government, private lenders, colleges, and state student loan agencies. • Companies on the secondary market: The secondary market is where lenders sell loans that are not in default when, for business reasons, they don't want to collect the loans themselves. A lender does not need your permission before selling your loan on the secondary market; however, the lender should notify you so you will know where to send your payments. Nearly 30 different companies exist on the secondary market to buy student loans. One of the biggest is the Student Loan Marketing Association, commonly known as Sallie Mae. • Loan servicers: A loan servicer is a company hired either by your lender or a company on the secondary market to collect your loan (assuming you have not defaulted). The loan servicer receives and processes your loan payments, examines deferment or cancellation requests, and otherwise handles all correspondence. An example of a loan servicer is the Student Loan Servicing Center. • Guarantee agencies: Federal student loans are mostly administered through state or private nonprofit agencies called guarantee agencies. A guarantee agency is like an insurance company in that it insures your loans and pays off the holder of the loans if you don't pay. Most loans are sold to a guarantee agency by the original lender or by the secondary market company that bought the loan. One of the guarantee agency's primary purposes is to collect student loans that are in default. Consequently, most student loans in default are with guarantee agencies. All 50 states have a guarantee agency. Guarantee agencies are authorized to take aggressive actions to collect your loan, including intercepting your tax refund, garnishing your wages, withholding professional licenses, and suing you. • Collection agencies: Collection agencies are hired by the Department of Education, guarantee agencies, and private lenders to collect defaulted student loans. For their efforts, collection agencies typically add a 25% collection fee to federal loans. Like guarantee agencies, collection agencies are authorized to take aggressive actions to collect your loan, including intercepting your tax refund, garnishing up to 15% of your wages, withholding professional licenses, and suing you. How do you know which repayment option is right for you? The first step in choosing the best repayment option, assuming your lender offers more than one, is to determine the amount of discretionary income you have available to put toward your student loan each month. To do so, you need to make a budget and track your monthly income and expenses. After you determine the amount of your discretionary monthly income, you then need to assess your individual circumstances to pick the best repayment option for you. There are several steps involved in making a budget. The discussion here is a quick overview relating to student loans. First, get organized. If your idea of organization is stuffing your random assortment of loan papers into your sock drawer, think again. Keeping accessible, accurate records will make it easier to communicate with your lender. Open a file folder for each loan and file any accompanying paperwork there, such as copies of promissory notes, coupon booklets, correspondence from the lender, and any notes from phone conversations (along with the name of the person you spoke with). Tip: You should keep all your loan documents at least until you've paid off your loans in full. Second, keep track of your monthly income and expenses over a two-month period. For expenses, record any cash or cash equivalent transactions (e.g., checks, ATM debit card), along with any bills you pay. Remember to include any seasonal, semi-annual, or annual expenses that you expect to incur, and divide each figure by the appropriate number of months to arrive at a monthly expense. For instance, if your annual car insurance bill is $1,200, your monthly expense for this item is $100. In determining total income, make sure to consider all potential income sources. For instance, in addition to wages, you might have bonus money, dividends and interest, alimony, child support, pension or retirement income, or public assistance. If your income exceeds your expenses, you have discretionary income to put toward your student loan payment each month. Depending on the amount, you may want to consider putting more money than required toward your loan payments each month so you'll end up paying less in the long run. If your expenses exceed your income, you will need to go back over your budget and see if you can make things work. For example, you might try to earn more money by increasing your cash flow) or reducing your spending on expenses other than student loans. For example, to cut costs if you're spending too much, you can disconnect your cable, buy bulk grocery items, or replace your new car with a used car. If you've cut down your expenses as far as you can and you still can't afford your current student loan payment, you'll need to ask your lender about repayment options to lower your monthly loan payments. Though lower payments translate into more total payments over the life of the loan, it may be the only way to offer much-needed financial and emotional breathing room. You may also want to apply for a deferment or a forbearance, which allows you to temporarily postpone your monthly loan payment. You've made a budget and determined the amount of your discretionary monthly income. You've contacted your lender and discovered you can choose one of several repayment options. Now, how do you decide? • Do you expect to remain in the same profession with the same earning potential? Or, will you be switching professions in the coming years? • Do you expect your future income to increase? • Do you plan to go back to graduate school? • Do you have other significant long-term expenses (e.g., mortgage, child support, medical bills)? • Will you find it very difficult to lower your current standard of living? • If you are married, does your spouse have student loans as well? • If you are planning to have children, will you or your spouse forgo an income to stay at home? • Do you expect to be saving for your own retirement or your child's college education in the next few years? If you have a steady income, and paying your student loan under a standard repayment plan (e.g., fixed payment over 10 years) is not causing you a terrible financial hardship, this is probably your best option. You will pay off your loan as quickly as possible. The faster you pay off your loan, the less it will ultimately cost you and the sooner you will be able to save for other expenses, such as your child's own college education. If you are worried about running into financial difficulties, remember you can always apply for a deferment or a forbearance, which is a temporary (usually six-month) postponement of your payment. Alternatively, if more drastic help is needed, you can select another repayment option at that time. By contrast, if you have several current monthly expenses and your salary is relatively low now but you expect it to increase in the future, you may want to consider a graduated repayment plan. Unfortunately, the overall cost of your loan will be greater than with a standard plan because of increased interest payments. Another scenario is when you currently have a large debt load and are not sure you can count on a higher future salary. In such a case, you might want to consider an extended repayment plan or loan consolidation. You can try to make your payments under a standard repayment plan, but if you sacrifice every expense but food, shelter, and essential bills to pay your student loan, it will be very difficult to stick to your plan for the long haul. The basic difference between a standard repayment plan and the other types of repayment plans is that you can pay now or pay later. If you pay now (e.g., in 10 years), most likely you will need to sacrifice your standard of living to a certain degree. This can mean postponing children, a new career, graduate school, or the purchase of a new home or car. Or it can simply mean eating out less and taking one exotic vacation instead of two. The question is what degree of sacrifice you can handle. Of course, the benefit of sacrificing now is that in 10 years you are free of your student loans. Compare this to extending your student loan out to 25 years--your own kids may be in college while you are still paying off your student loan. You've chosen your repayment option. Now how do you actually go about repaying your student loans? Most borrowers write a check and mail it to their lender (or current student loan holder). Usually, you will receive a coupon book in the mail before your first payment, with your name, Social Security number, and monthly payment amount, along with preprinted address labels. Caution: Even if you do not receive a coupon book, you are still responsible for making your loan payments by the required deadline. Tip: You should always notify the holder of your student loans when you move so you can receive your coupon books and other correspondence in a timely manner. Also, lenders are required by law to notify you if there is a change in where you must send your payments. In addition to paying by check, some borrowers have their student loan payment automatically deducted from their account each month. If you have the funds available and don't mind this mild intrusion, this method eliminates the hassle of writing a check (and sometimes two or three checks) every month. In addition, because it saves lenders time and money, some lenders may offer you an incentive, such as a lower interest rate, if your payments are electronically deducted from your checking account. These materials are provided for general information and educational purposes based upon publicly available information from sources believed to be reliable—we cannot assure the accuracy or completeness of these materials. The information in these materials may change at any time andwithout notice.